I'm feeling super smug as I've finally ticked another place off my ridiculously long "North East Eats" list. At the weekend I took a short break from wedding plan and ventured over the water to Gateshead to check out Daniel Farm Shop and Tearoom which is hidden away in the countryside. Just down the road from one of my favourite places, Bradley Gardens, it seems Wylam is the place to be if you fancy cake in the countryside. 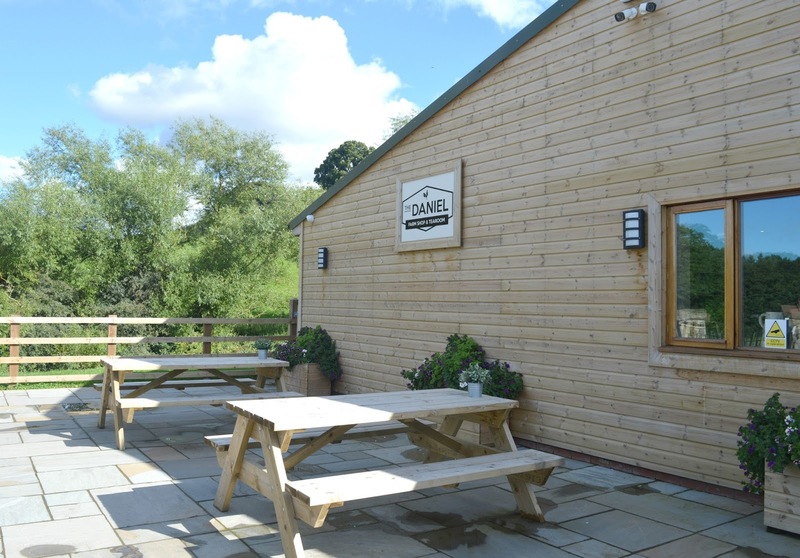 Daniel Farm has been open for less than a year but judging by the amount of people packed into the tearoom on Sunday lunchtime it's been very quick to find its way into the hearts of the locals. Having recently started serving home-cooked Sunday lunches for a bargain price of £8.50 we were very lucky to grab the last table in the tearoom when we arrived. Although the roast lunch sounded tempting I had cake on my mind as soon as I saw the amount of goodies on offer at the counter. The range of home baked treats was enough to make my tummy rumble and the freshly baked Lemon Meringue Pie casually sitting on the side made me want to grab a spoon and dive straight in. We found ourselves a seat on a comfy sofa and gave the menu a careful look over. 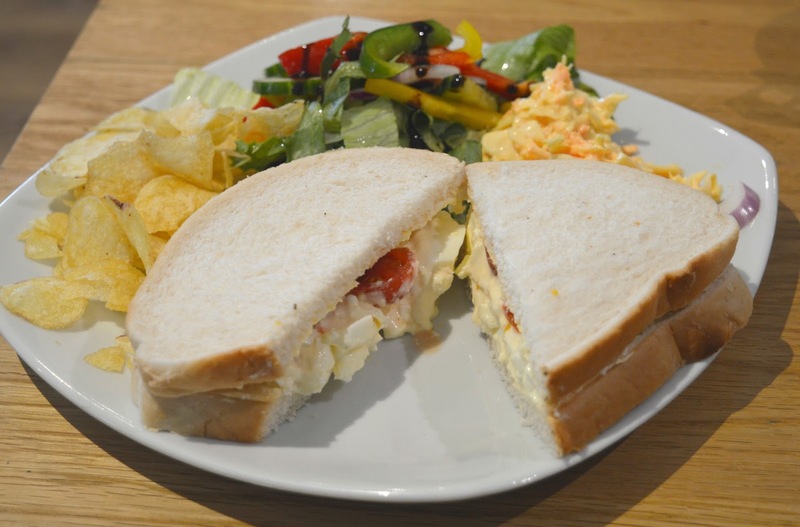 With pages of sandwiches, omelettes and jacket potatoes to choose from, Daniel Farm serves exactly the kind of no fuss home-made food that I love. 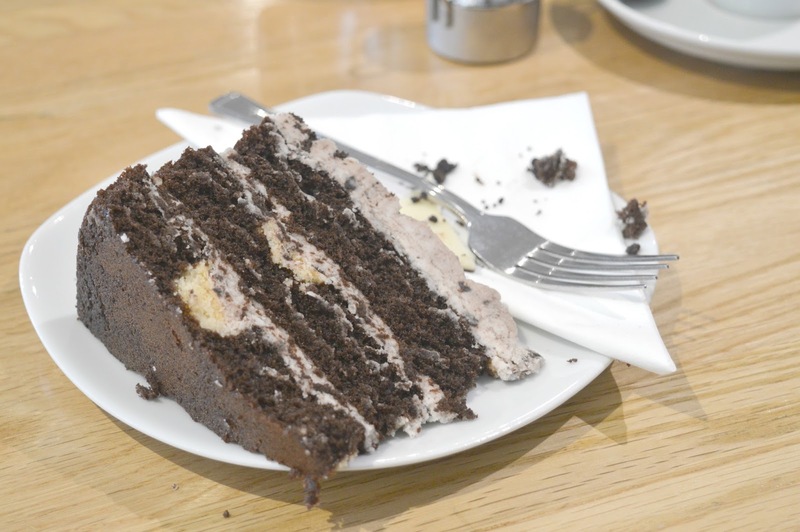 I knew immediately that my belly wasn't just going to settle for cake and before I knew it I had ordered myself an egg and tomato sandwich as well as a pot of tea and a massive slab of cookies and cream cake. Unfortunately the service wasn't the best and my cake turned up to the table a good while before my sandwich meaning that greedy me started eating my lunch backwards. I was also only given one fork so was using my cake fork to eat my salad. Slightly clunky service was completely forgotten the moment I started on my food, wow! My sandwich was so stuffed with egg that it was falling out all over my plate giving me loads of extra to eat with my delicious salad. The bread was fresh and squishy, just as I like it and I honestly haven't had a sandwich so good in a while. The cake was equally impressive and a very generous slab. It was beautifully moist and packed with flavour and I was completely gutted when it was over. I was cursing myself for not having the tummy capacity to try the rest of the cakes because wow did I want to give them all a go! By the time we'd finished our food (and realised that we'd been sat for over 2 hours gossiping) the sun had come out so we decided to go for a little stroll outside. There's loads of outdoor seating at Daniel Farm and the benches are perfectly positioned to be an afternoon sun trap. During the Summer the tearoom has been serving fresh strawberry jam and cream scones with glasses of Pimms which I bet is amazing out in the sunshine. 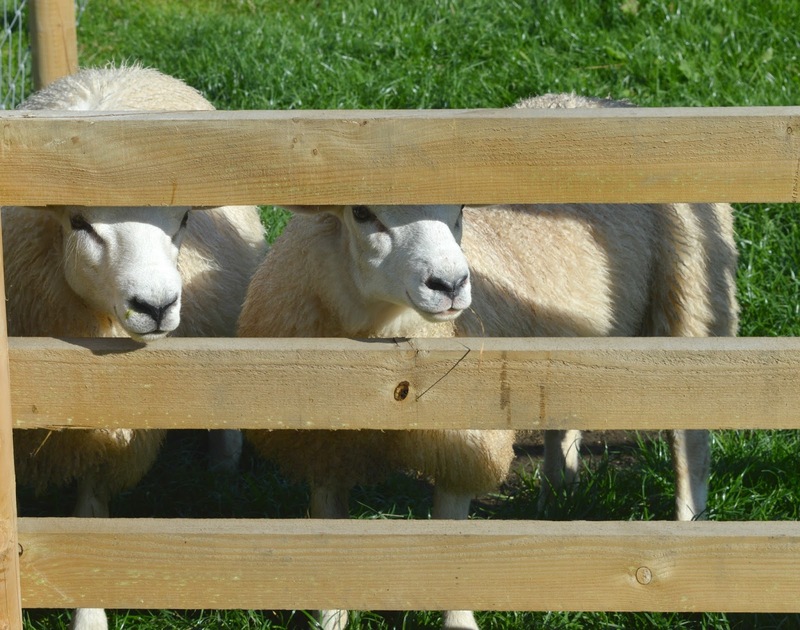 There are plenty of farm animals to meet at Daniel Farm and for £3.50 (which also gets you a tea or coffee in the tearoom) you can go say hello to some furry friends. We were greeted at the gate to the farm by a really lovely lady who introduced us to all of the animals and chatted to us about the farm. Her enthusiasm was infectious and it was so great to meet someone really passionate about their job. 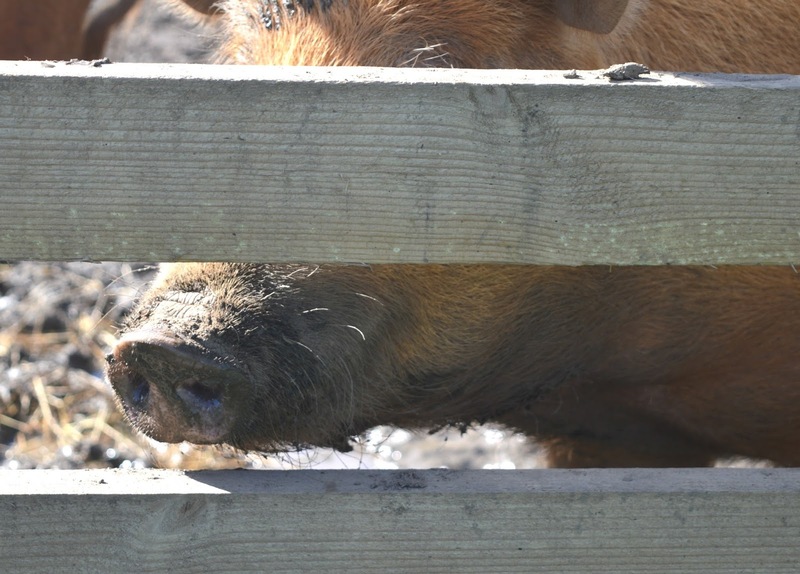 Luckily we'd timed our visit with feeding time which meant we were met by lots of happy snouts at each fence we stopped by and had plenty of opportunity to fuss over the animals. There were lots of hand sanitisers scattered around and we were encouraged to interact with the animals as much as we liked. I loved stroking the goats and lambs and almost gave the pigs a good scratch until I realised they were completely covered in gloopy mud. 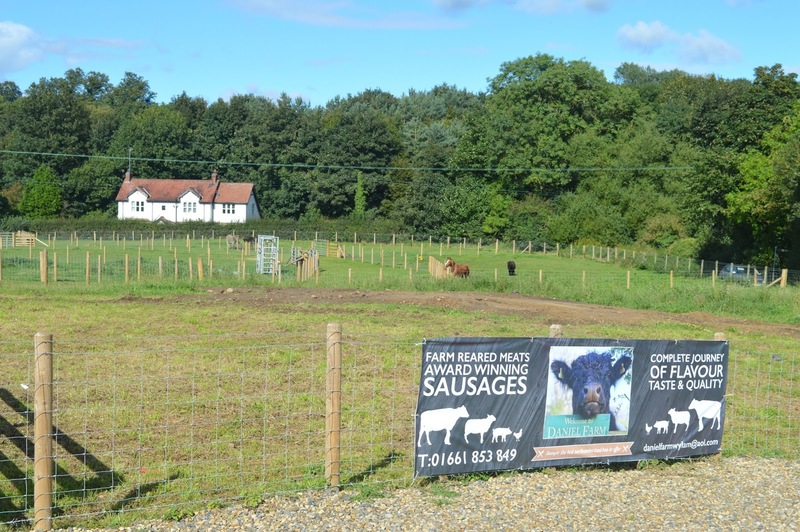 Our visit ended with a brief trip to the farm shop attached to the tearoom where we found lots of delicious looking local produce including free range eggs from the farm. Heaven! 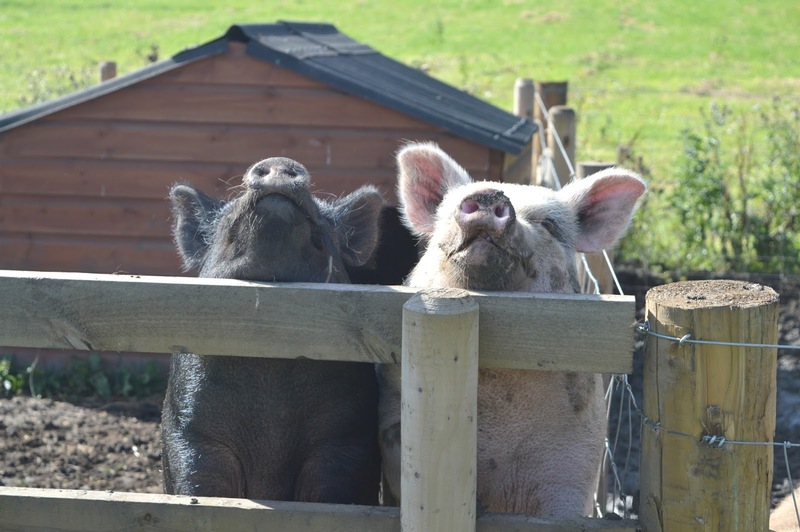 Let me know if you've made it to Daniel Farm, or if you have any tearoom recommendations, I'm always keen to discover new places.